Easy to learn; you can complete Lesson 1 and your first project in the same day! 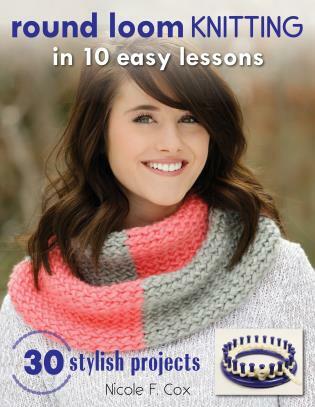 Nicole F. Cox sells downloadable PDF patterns for loom knitting through her blog, This Moment is Good, and her store on Etsy. Her Google+ page, which is devoted to loom knitting, has more than 3.1 million views. Nicole also has a YouTube channel, This Moment Is Good Loom Knitting, dedicated to how-to videos on round loom knitting. She lives in New Jersey.